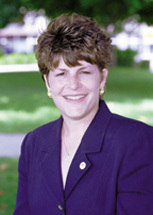 Info Biography: Full-time state legislator; born June 7, 1962, in Granite City; B.A. and M.A. in political science, Eastern Illinois University; former Macon County Treasurer, 1990-94; has one child.